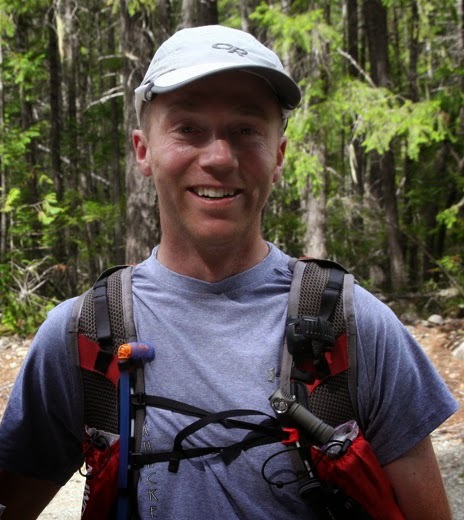 Tim and Chris, both previous finishers, discuss this year's FatDog 120 mile trail race, and provide insight into their training and preparations for the race, as well as a detailed description of the course and the things you need to know. Hey Chris looks like the FatDog Race is filling up fast. I see most of your family are coming out this year! What's that all about? Are you going to post a race report from last year? Hey Tim, this will definitely be a big year for FatDog. Last year there were only 31 racers signed up in the 120 division, but now there’s 175! I think this increase is really a product of the success that Heather Macdonald has had with the Mountain Madness race series and how great of a race FatDog really is! Adding to that is the fact that it’s now a qualifier for Hardrock 100. Last year my family crewed and paced with me, but this year it seems they’ve caught the bug as they’re all racing some distance of it! My dad and girlfriend are planning for the 70 miler while my mom and sister are going to do their first ultras in the 30 miler. It will be quite the weekend for my family! Speaking of lot’s of people doing the race, what do you think about the increase in racers this year? Do you think the aid stations will be able to handle that many participants? The race will be different for sure. The last couple years I’d arrive at an aid station and there was always a chair I could grab for a few minutes while I ate. Not so sure this year. Those of of us returning should be prepared for this. There’s plenty of parking for all the support groups (except maybe Bonnevier) but I don’t have a support crew so I’ll probably sit on the ground. The relay teams usually hang out at the aid stations for a while so Heather and Peter may have to manage that. Heather has a lot of experience dealing with that many runners at her other races and she’s split the volunteer coordinator job in three. Side note: they need lots of volunteers. I’ve been emailing friends and family encouraging them to race and/or volunteer. That’s a good point Tim, the race will need a huge number of volunteers this time, especially if they want to have a repeat of the amazing aid station service we received last year. The aid station volunteers were definitely one of the highlights of the FatDog race. That’s reason enough to come back, never mind that the course is stunning, almost all on trails and passes through four different parks! I love the race. It has more single track (as a %) then any 100 mile I know. And an awesome finish area. I was looking around for other 100 milers with as many mountains and single track but didn’t find much. Let me know if you find one. A lot of them say ‘trails’ when they mean a combination of single track and jeep road. I think death race and sinister seven are mostly jeep track. From a safety viewpoint it makes sense to use jeep tracks, but the running isn’t as enjoyable. I have less time to train this year and I’m worried about that. Last year I was putting in 100km weeks with lots of elevation. This year I’ll focus more on quality elevation runs and hope to find enough time. I definitely agree with the idea of quality over quantity when it comes to training. This year I’m hoping that I’ll be able to increase my training to be better prepared for the hours-long uphills that FatDog is famous for. What are your plans for race day? Not much yet. A couple years ago Randy gave me a tip to put my drop bags in waterproof bags. That way I am guaranteed that the gear will be dry when I get there. As much as I trust the volunteers to take care of it, you never know. I’ve also been thinking about small things, like when to carry sun glasses and sun screen. Since I wear a hat, I’ll only want sun glasses between Ashnola and the river crossing. A big to do item is to figure out shoes. I’m currently running in Salomons and Hokas from NSA (NSA is a big sponsor of the race). I need to buy more pairs of both. Food planning will come later but I know there will be plenty of salami, fried beets and V8 juice. I get pretty sick of sweet stuff about halfway through the race. If I know anyone at the aid stations then I’ll ask them to bring hard-boiled eggs and sausage. I also like kale chips. Last year I tried doughnuts and chocolate coated bacon; they were both too sweet. I plan my own food and do the spreadsheet thing to count the calories. I ended up with lots of leftover food as I didn’t account for all the good aid station food. I’m now going to assume I eat at least 100-200 calories at most aid stations. How about you? In terms of food, I’m very much the same way as you Tim. I prefer to go for some of the more salty and savory foods early on in the race, saving the sweet stuff for when I need that kick. Although I don’t think I’ll be eating salami during the race, I really do enjoy cheese quesadillas, so fingers crossed they’ll have those again (thanks Andrew Knowles for making those at Heather aid!). I’ve also been experimenting with making my own energy bars which have had positive results so far. Planning drop bags for FatDog is definitely not an easy task. With the limited number of spots for drop bags along the course I found myself carrying gear for quite a ways before or after I finished using it (e.g. sunglasses after dark or headlamp before dark). There’s really not much a runner can do about that though, other than plan and pace accordingly. Figuring out shoes was my number one priority after last year’s FatDog race. Having sustained massive blistering on my toes by about the 90 mile mark, I was reduced to a slow march for the remaining 30 miles (all the glorious details in my FatDog race report part 3). So this year I’ll be using Altra shoes with Injinji toesocks. I think this combination will give me what I was lacking last year - space in the toe box with adequate tightness around the heel and midfoot. Plus the toe socks should stop the toes from rubbing against one another. The blister issue gave rise to something else unexpected. The pain and the resulting pace meant I was out on the course for hours longer than anticipated, and that meant I was getting more and more sleep deprived. 36 hours into the race I was completely exhausted and had to take a 15 minute nap on the trail (not recommended due to bears/cougars). I had to repeat this at Camp Mowich and Skyline Junction aid stations. This year I’m hoping that with better shoe/sock choices and more training I will be able to avoid the whole sleeping thing altogether. What’s your take on sleeping during a long race like FatDog? Is that why Ultra signup is predicting you'll come in 10 hours faster than last year! Interestingly, it also predicts that I'll come in 3 minutes slower than last year. I’ve realized that I won’t sleep in a race, so I’m not going to try. As long as I get a good sleep the night before. What’s your favorite part of the race? I love the four mountains we go over and the views are wonderful. Looks like it will be a week after the full moon so we won’t have much moonlight. My favourite section(s) of the race is the alpine meadows for sure! As you go over the mountain peaks the variation in trail, flowers and views is spectacular. Also, the Pasaytan River crossing was refreshing and surprisingly fun since I hadn’t done that before! Yea, the crossing is pretty easy and last year Don had his BBQ going on the other side with hot dogs. Hey, we should probably talk about the route as there’s a lot of people coming from out of town. Some of the blogs do an ok job but you and I may have a different take on it. Section 1, Start to Ashnola: The climb is straightforward enough. There’s a couple boggy sections so don’t get your feet wet. Then you pass the first aid station (only water available in Section 1) and you quickly reach alpine and you’re running on boulders over the shoulder of Red Mtn. The descent is pretty smooth with a nice grade; overall quite runnable - just don’t push it. This whole first section is single track of varying width, with some short portions of jeep road at the very beginning. Section 2, Ashnola to Pasaytan River Crossing to Bonnevier: Leaving Ashnola it looks grim (logging road) but the climb improves and you end up in a very cool, burnt-out forest complete with babbling brook and lots of wild flowers! It’s 7km up to the Trapper aid station, then 23+ km to the Calcite station. After Trapper aid the trail is well defined until you get close to the lake, then you need to be very careful looking for markers as you make your way around the left side of the lake. Here the trail becomes less defined as it passes through a boggy section - careful or you’ll soak your feet. Once you get to the far side (~30 min around the lake) then the flagging is obvious again and you soon reach the second high point, Flat Top Mountain. The descent from there is long and has some sustained steep bits where you can use up your knee muscles if you’re not careful. There is a creek 4-6 km before Calcite, so fill up a bit if you want to. Tim is usually hot at this point and rolls around in the stream. After the creek, the descent is very mellow all the way to Calcite aid station. Last year Terry Bremner, owner of the outstanding juice company Bremner’s Juice (and a runner himself), was there to greet you and you know he had juice and fresh blueberries for us! After Calcite it’s really fast down to the river and across then only a couple km to Bonnevier. This is the first of the 2 road sections. Section 3-4, Bonnevier to Cascade: I group these two sections as it is the longest stretch between drop-bags. Stock up on gels and food at Bonnevier! You start climbing very slowly on a logging road then suddenly you turn left onto a trail and cross a creek (Tim filled up) and you start climbing. No more water (creeks or otherwise) until you get to Heather aid station at the top. Things are pretty minimal there; you can have a good bite to eat but don’t expect to take too many gels away. Then it’s night-time running through alpine meadows (narrow single track) with a gentle downhill for a while. The crew do a good job marking it and you’ll soon get to a cliff with lots of flagging. This is a steep, rocky descent down to Nicomen Lake (and the most remote aid station). Matt Barry will be there to greet you, feed you some chips, possibly heckle you (if he knows you), and kick you out. From Nicomen Lake it’s a long run to Cayuse Flats (you cross a few creeks along the way) and the trail is wide and nicely graded. Cayuse Flats is a good rest stop, but you should try not to stay too long as there’s a roller coaster section up next that takes you to Cascade and another drop bag. This section is surprisingly difficult following the long downhill from Nicomen, so be prepared. Cascade has lots of parking and will have lots of people to cheer you on. Section 6, To the end: This starts with a long gradual climb. It’s technically runnable but the climb starts at mile 101 in the race so chances are you may not be up to running. The trail is in great shape. As you get up to alpine hopefully you can see the surrounding peaks so long as it isn’t dark yet. After the first peak you descend into Camp Mowich aid station (another remote aid station with chips and water). You climb up from Camp Mowich, then do an annoying drop and climb (following the ridge) up to Peter at the Skyline 1,2 junction aid station (chips, water, bananas). When you get to Peter you’re (almost) smiling cause you know it’s shorter to go to the finish line than to go back or hike out. Now it’s a few more ups and downs along the ridge until you crest the final sub-peak and it’s all downhill to the lake. This downhill starts steep and rocky, but soon turns smooth and very gradual (annoyingly gradual!). No matter what time of day, you’ll know when you get to the lake, and then it’s a short run around the lake to the finish. If you made it this far, you know you’re a FatDog! Good luck to all aspiring FatDogs! Awesome write up guys. Thanks, we look forward to having you both out again for the 2014 version. Thanks Peter! I'm really excited for this year's race, going to be a fun one!! 6 Running Tips to Keep You Moving! How NOT to train for your first 50k.